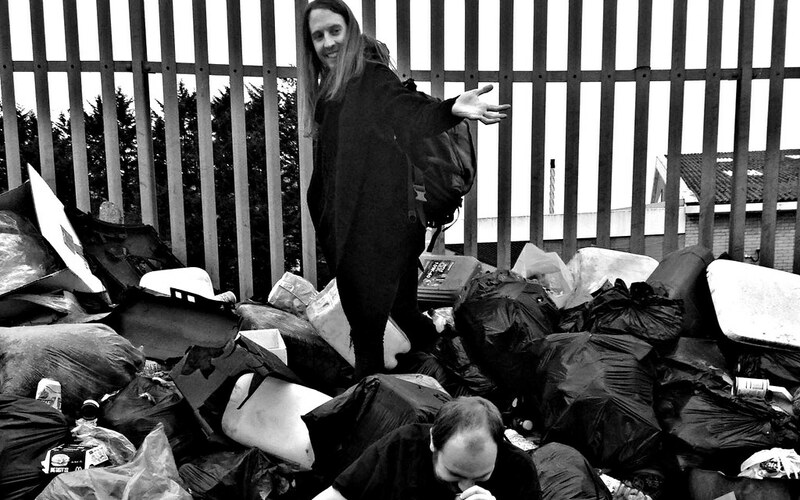 Promoters Towards Collapse have a dropbox folder expressly used for archiving images of fly-tipping around London. This has been craftily synced with their Facebook stream, meaning their account is littered (no-pun intended) with pictures of knackered old fridges, tellys and mattresses left on street corners and residential estates. This should give you some sense of the characters behind Towards Collapse - using their considerable technological nous for projects largely related to bins, shredders and waste processing plants. The last gig of theirs I went to, titled Luxury Flats for Luxury Twats, saw founding members Robin and Alex team up with Combat Recordings’ Stormfield, to construct a visual show entirely using recycled footage from trendy Shoreditch new builds, soundtracked by crushing power-electronics and distortion-drenched hip-hop. Over the three or four events they have hosted, Towards Collapse have moved around North East London like a couple of deranged property surveyors looking for the latest on-trend catchment area. They teamed up with Open Jack Sessions at New River Studios last year, and took up residence in the sadly now defunct Power Lunches in Dalston before that. Their latest event sees Towards Collapse return to Dalston, this time setting up shop in basement venue, VFD on Friday. Providing the soundtrack to your Government approved breakdown, two Berlin-based artists, Swarm Intelligence and Dead Fader will be in attendance, alongside Voyder affiliates VORRS and Nolan Dialta.